Hand painted 10" Tambourine Dream Catcher Percussion Art Piece. 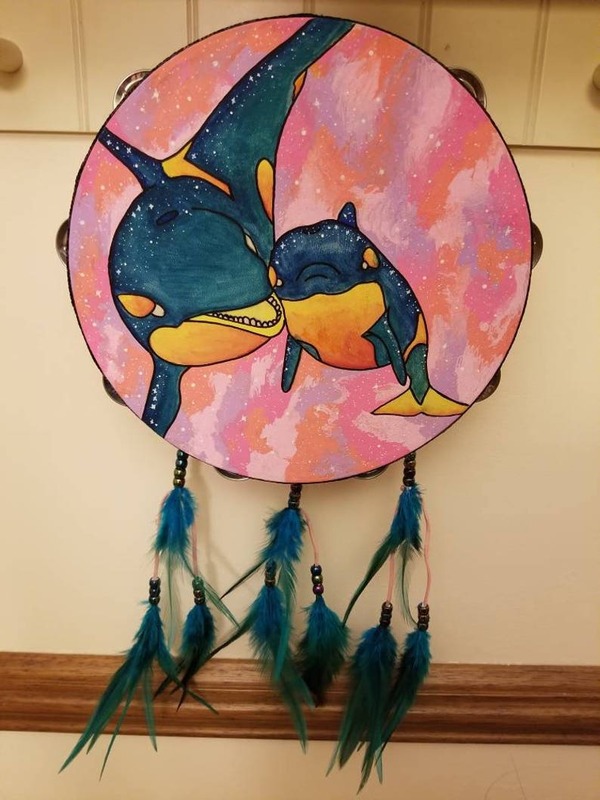 This tambourine has a hand painted orca galaxy painting in acrylic paint, on an acrylic painted background and embellished with beads, feathers, and pink leather cords. Please choose "Other" at payment. Then contact me with you paypal email address. I will go over terms with you through convos. 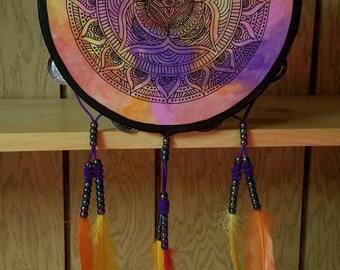 This tambourine, while lightly playable, is sold as boho decor art. 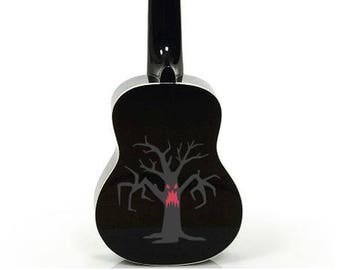 See my collection of hand painted ukuleles and photography! Great item; very beautiful. There was a shipping issue (scanning error by USPS) which resulted in concerns by both the seller and buyer; and the seller was extremely communicative while the situation was being figured out. I would definitely do business with this seller again. Jenni was amazing. She went out of her way to make sure my order was shipped on time and worked with me in arranging to paint my own instrument. She made a last minute addition without fuss and took great care with everything. Loved the finished product, it looked exactly like it was represented in her photographs. She was very professional and friendly from start to finish. Would definitely purchase from her again. Full payment is due before project is started. If for some reason you aren't happy with the mockups, you will be refunded minus a 30% project fee. This includes 1 rework of the mockup. Personalized and Custom orders are non refundable. Shipping is calculated, but you are ressponsible for any Customs charges you may incur before your post will give you your package. Please check with your local customs and tax department. I will be unable to refund shipping costs to internatinoal customers who refuse to pick up the package. Paypal is not required, you may checkout as a guest. I am ready and willing to work out payment plans with you.